Tozer Seeds breeders have been selecting and refining a range of beets for many years producing excellent and trusted varieties for the professional grower. We hope to offer F1 varieties for trial in the near future. 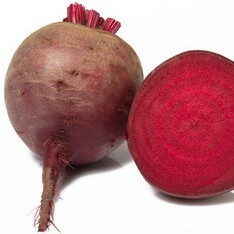 A versatile variety producing very uniform, round beets. Establishes well and provides good ground cover to keep weeds low. Has very strong tops. Renowned Tozer Seed’s Boltardy selection, smooth skinned, round roots with excellent internal colour. Slow bolting so can be used for an early crop.